 When you first come to the Burlingame office of Sarrail, Castillo & Hall, LLP, you may notice something different — lawyers who really care about you and your case. We know that people who come through our door have suffered a terrible ordeal involving property damage, bodily harm or worse. You can depend on the lawyers at our firm to listen and consider the best course of action to assist you in your situation. We are dedicated to achieving the best outcome. Sometimes that means accepting a settlement. Sometimes that means going to trial, and we stand ready to battle any opposition to the successful resolution of your case. We welcome the challenges of advocating on your behalf. Our attorneys also enjoy the opportunity to pass on the benefit of our experience to others by working with law students and legal professionals in mock trials and legal education activities. JAMES A. SARRAIL graduated from Northwestern University in Evanston, Illinois with a BA degree in 1965. He received a Juris Doctor degree from the University of San Francisco, San Francisco, California in 1968. Mr. Sarrail is admitted to practice before the California Supreme Court, United States Supreme Court, United States District Court, Northern, Eastern, Southern, and Central Districts of California, and the United States Court of Appeals, Ninth Circuit. He is a former adjunct professor in insurance and business law at Golden Gate University in San Francisco and has served as a judicial arbitrator for the San Francisco and San Mateo County Superior Courts. 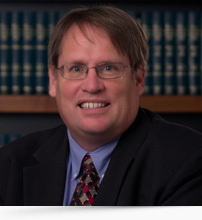 His background in civil litigation and trial is extensive. Mr. Sarrail is a member of the State Bar of California, San Mateo County Bar Association, Northern California Association of Defense Counsel, and Defense Research Institute. MONICA CASTILLO graduated from the University of California, Berkeley, California, with a BA degree in 1985. She received her Juris Doctor degree from the University of California, Hastings College of the Law, San Francisco, California, in 1989. She is admitted to practice in all California Courts, and the United States District Court, Northern District. 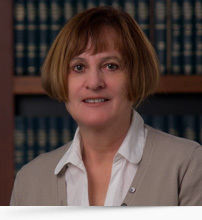 She is a member of the State Bar of California, the San Mateo County Bar Association, the Bar Association of San Francisco and the Northern California Association of Defense Counsel. Ms. Castillo serves as a Judicial Arbitrator for the County of San Mateo and as judge for the ABA National Appellate Advocacy Competition. She is also a fellow of the National Institute of Trial Advocacy. 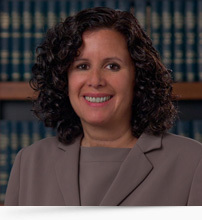 Ms. Castillo has extensive experience in civil litigation, including numerous trials. JONATHAN S. LARSEN graduated from Brigham Young University in Provo, Utah with a B. A. degree in 1984. He received his Juris Doctor degree from the University of California, Hastings College of Law, San Francisco, California, in 1987. He is admitted to practice in all California Courts, and the United States District Court, Central and Southern Districts. 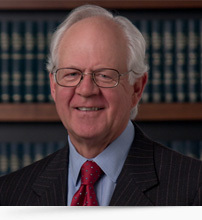 He is a member of the State Bar of California. Mr. Larsen enjoys an enviable civil trial record; he also chairs the firm's first party coverage work. IVANKA F. ACKBARI graduated from the University of California, Berkeley, California with a BA degree in 1975. She received her Juris Doctor degree from the University of California Boalt Hall School of Law, Berkeley, California, in 1978. After graduating from law school, Ms. Ackbari was a research attorney at the Alameda County Superior Court in Oakland where she clerked for the Honorable Judge Broussard and later for the Honorable Judge McKibben. Ms. Ackbari is admitted to practice before the Supreme Court of the State of California and the United States District Court for the Northern District of California. Ms. Ackbari compliments our trial team in the third party litigation. Our attorneys are dedicated to giving you one-on-one attention in a stress-free environment. Call 650-513-8899 today for your free initial consultation, or contact our firm online. You pay nothing until we win your case.